The Click Magazine introduces new things about the learning environment to the kids. Have you ever worried about introducing new things your kids? Failed to teach something new to your little one? Don’t worry! Click Magazine will help you. Just like most of the magazines for kids, Click magazine features typical elements like stories, fun arts and crafts, drawings, riddles, fun facts, etc. However, the magazine is unique in terms of introducing new world of learning to the children. Learning new thing is always challenging, and where age is immaterial. 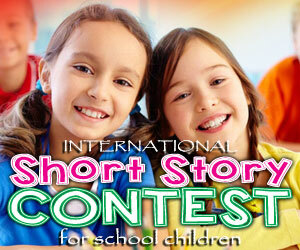 The challenge doubles when kid learns new things or when parent try to incorporate new things in children. This is a themed magazine. Every month, the magazine features different themes. The title of the magazine speaks about the theme! The titles are so attractive and created based on the children’s interests. To name a few, ‘At the Zoo’, ‘Busy Cities’, ‘In the Island’, etc. The magazine is based on the motto, ‘Opening Windows for Young Minds’ and it really does. Quirky, funny and intriguing facts, cartoons looped with scientific insights, interesting historical bites, colorful photography and many more fascinating sections entices the children. Nature and science covered in a simple way blended with child friendly elements. It is not a magazine based on fiction, but on facts. Kids who are crazy on fictional segments may not find this magazine appealing, but still it is one of the must to read magazines for kids. The magazine is suitable for kids aged between 3 to 8 years! As said earlier, the focus is all about introducing new things to the children. The tone of writing is fresh and lucid. It is more simple and easier to comprehend than other magazines for kids. The stories comprise of easy illustrations. The specialty of the magazine is each issue carry different styles of writings. For instance, non-fictional content, facts, essays, photographs, drawings, cartoons, etc. A pool of information specifically designed for kids to curb down the challenges in learning something new is addressed! Save each issue for a recap in the future, kids will love it. 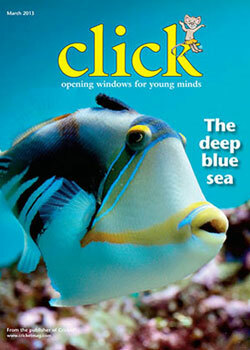 Visit Click Magazine to know more about this interesting and educational magazine for kids. More information is available at the Click Magazine Website.